Using the Model for Improvement to get better at doing small scale tests of change! 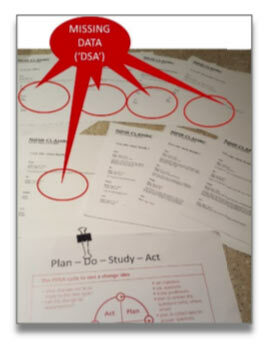 Many of us have learnt the hard way that the apparent simplicity of the PDSA cycle is deceptive. Like all robust methods of learning to implement lasting change it takes a good amount of practice and some inevitable failures. 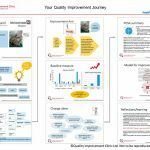 At the North West London CLAHRC we wanted to test whether we could apply the Model for Improvement to help improvement science managers rapidly improve their own knowledge and confidence in the use of this method. We decided to apply the model to the PDSAs to projects that they were supporting. 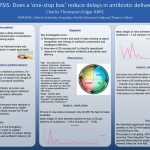 This novel way of “teaching whilst doing” resulted in significant gains for the improvement science managers and some unanticipated and welcome gains for the partner sites themselves. 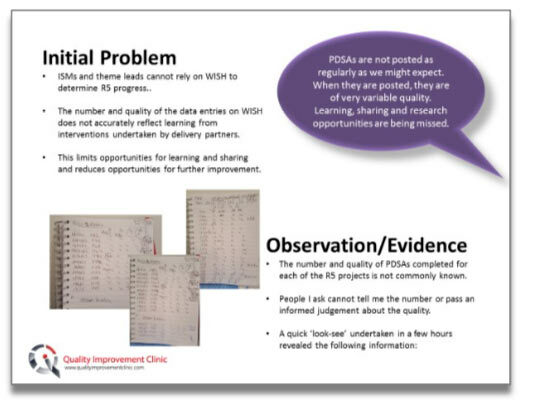 As their QI coach, Nikki was interested to see what she could learn from the data posted on CLAHRC’s own record system known as WISH which allows teams to electronically record their PDSAs for Improvement Science Managers (ISMs) to review. Nikki performed a quick diagnostic test to see what she could learn. 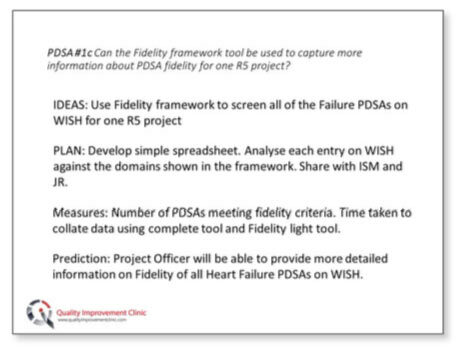 Within an hour was able to say how many PDSA cycles had been recorded for all four steps in PDSA for one project. This rapid diagnostic revealed the problem that needed to be addressed i.e. the number and quality of data on WISH did not accurately reflect activity and learning. Improvement to address the problem for one of their projects and to do this with at least one other person who was familiar with their project. 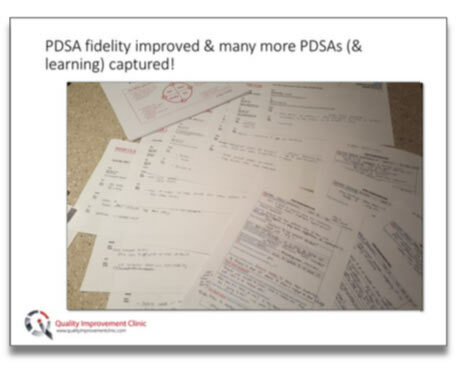 In the session they undertook one PDSA to explore their own data and then undertook a second one to get a more accurate measure of the fidelity of their PDSAs. The output for each session informed the starting point for the next. In this way Nikki was able to build on her own learning to optimise the session for working with the next ISM. Using the model for improvement and doing their own PDSAs the ISM’s learnt about how the theory plays out in practice. They appreciated how difficult it is to get good at doing and recording PDSAs so that learning can be maximised. 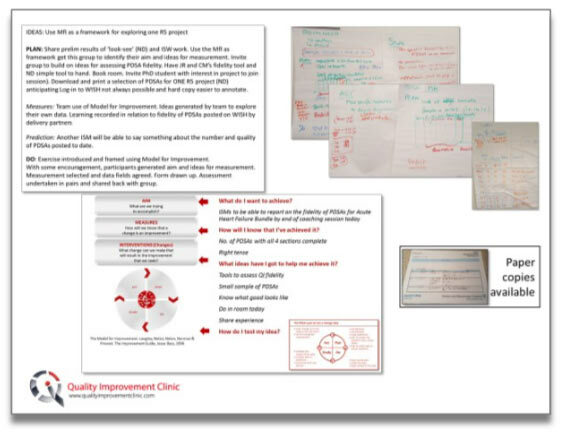 Most importantly, they understood the challenge that their project managers faced out in clinical practice, and were able to start thinking more creatively about how they might provide them with the motivation to use QI methods more productively. Using the data they had generated in the session with Nikki, the ISMs were able to create their own PDSAs and generate new ideas about how they could increase engagement of their project managers at their partner sites to capture even more learning. 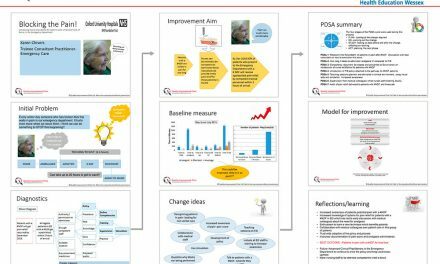 One ISM applied a PDSA fidelity tool developed by Dr Julie Reed in NWL CLAHRC to get even more insight into the progress of PDSAs. 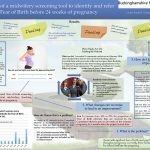 The ISMs predicted the outcome and identified how they would confirm in the study stage whether the intervention had any impact i.e. whether it led to an increase in PDSA recording and fidelity. 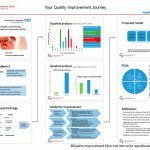 In the first site where this was attempted the ISM saw a marked increase in the volume of data captured on the WISH system and some evidence of more learning being applied to ongoing improvement work. 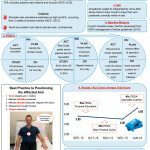 Some of the learning from the early stages of a project (admissions bundle) that was captured retrospectively was shared in detail with more clinical staff and used to proactively inform the next stage of the project (discharge bundle). The improvement science managers’ confidence continued to grow. 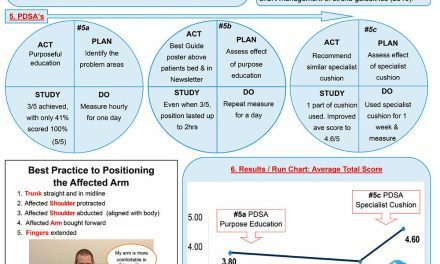 As quality improvers PDSA has become a habit that they use and teach to others! 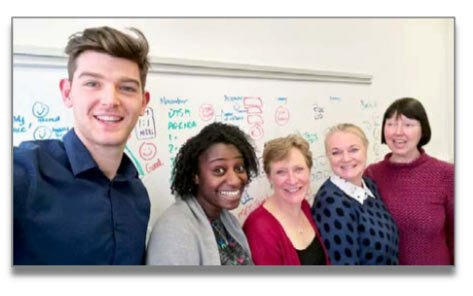 Tom Rollinson (Project Officer), Dione Matthew, Wendy Carnegie & Susan Barber (Improvement Science Managers) with Nikki Davey (Improvement Coach, 3rd from right).